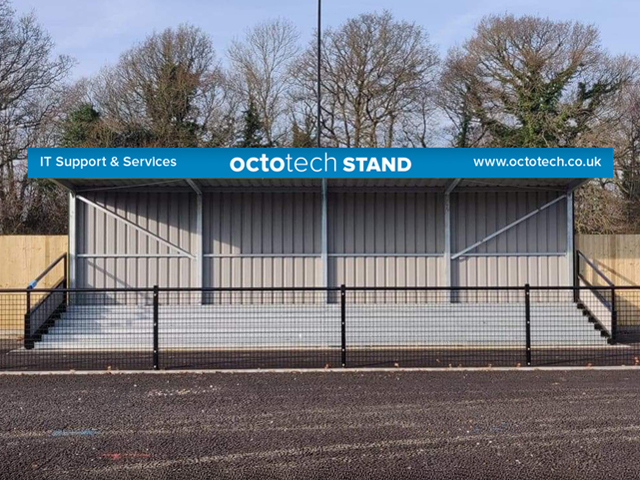 Horsham FC is delighted to announce that the stand at the far end of the Hop Oast stadium (opposite the clubhouse end) will be sponsored by Octotech Ltd. and the above image shows how this will appear on the stand. Ensuring clients receive a prompt and reliable service is at the heart of Octotech‘s business, and their wide experience of the IT sector enables them to create truly bespoke services and solutions to meet specific customer needs. Horsham FC is excited to be partnering with this excellent local company and look forward to a long and productive relationship with them. If you don’t mind me asking how much did the stand cost? When will season tickets for the 2019/20 be available to purchase? Hi Graham. We’ll be announcing the launch of 2019/20 season tickets in July, so keep an eye on our website and social media accounts for details. Ok, thanks Paul, I look forward to enjoying my first match and a pint at the new stadium….. Cheers!